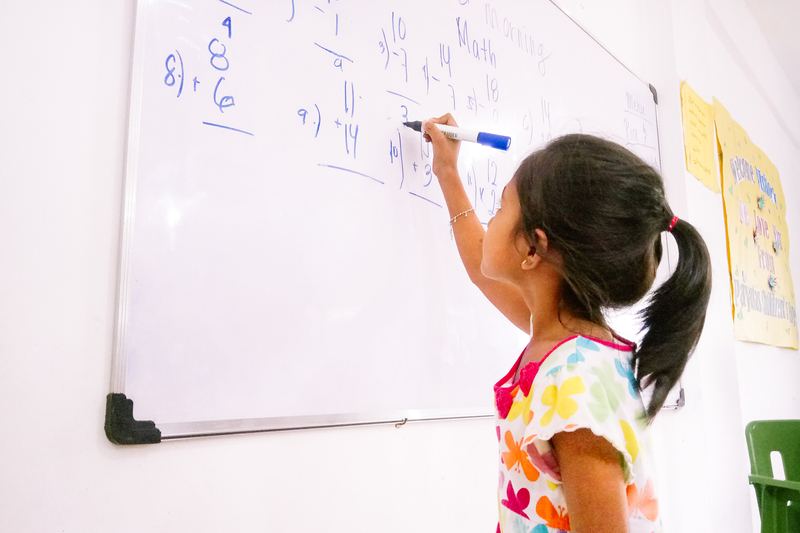 Photo: Children in our tutoring program are given personalized help with homework and school subjects such as math, writing, and English. We are happy to report that more improvements have been made to our new Children’s Hope Center facility in the Payatas Landfill Colony of Manila. In January we were able to purchase 24 armchair desks and a whiteboard to use in our after-school program. Our director, Malaya, and the teachers and volunteers previously had to write on paper hung on the walls, so they and the children have been very grateful for these new developments to the Hope Center. We also received some additional ceiling fans which will enable our children to stay cool during the hottest months of the school year. More recently, educational posters were hung in the main room where the children are taught; we installed a new sink and a new stove in the kitchen; and we completed plumbing for a new sink and flushing toilet in the bathroom. In January we had some minor complications in connecting the electricity, but we are thankful to report that the electrical connection was turned on in February. In addition, a local school that one of teachers attends donated textbooks, reading books, and reference books to the Hope Center. The children are very happy about everything that the Hope Center provides for them — all of the educational materials and the comforts of the building help them pursue their education with joy. We currently have 100 children enrolled in our Children’s Hope Center program in Manila: 30 children ages 4-6; 50 children ages 7-10; and 20 children ages 12-17. Our after-school tutoring program has recently become more efficient and organized with a regular staff, set coursework, and a scheduled rotation of children in and out at different times of the day since the space cannot accommodate all 100 children at the same time. Our 2 teachers and 3 volunteers tutor the children every Tuesday, Thursday, and Saturday in the mornings and afternoons. Photo inset: (Top-left): Our 2 teachers and 3 volunteers tutor the children in their school subjects of math, English, and the Filipino language. (Top-right): By keeping the children successfully enrolled in school we can keep them out of the extremely hazardous child labor that goes on in the Payatas Colony, and also give them much better chances of avoiding the perils of human trafficking which currently plague Manila. (Bottom-left): The children are very happy about everything that the Hope Center provides for them — all of the educational materials and the comforts of the building help them pursue their education with joy. (Bottom-right): The children enrolled in our Manila Children’s Hope Center program receive snacks and a fresh-cooked meal before going home for the day. The Filipino school schedule is staggered at different times of the day for different grades. Students who attend school in the afternoon receive tutoring at the Hope Center in the morning from 9:00-11:00 am, and students who attend school in the morning receive tutoring at the Hope Center in the afternoon from 2:00-4:00 pm. All of the children receive tutoring for their school subjects of the Filipino language (reading, writing, speaking, and comprehending), English (reading and writing, especially to the younger children), and mathematics (working on basic to complex math problems). We are also focusing on the problem of illiteracy amongst impoverished children since our older children enrolled in the program cannot read well, and the younger children cannot easily identify numbers or letters. This is an important part of our weekly after-school care program which has proven so successful in our other Children’s Hope Centers. The children can also work on the computers, and get snacks and a fresh-cooked meal such as soup, vegetables & rice, or nutritious Malunggay porridge made from the leaves of drumstick trees before going home for the day. 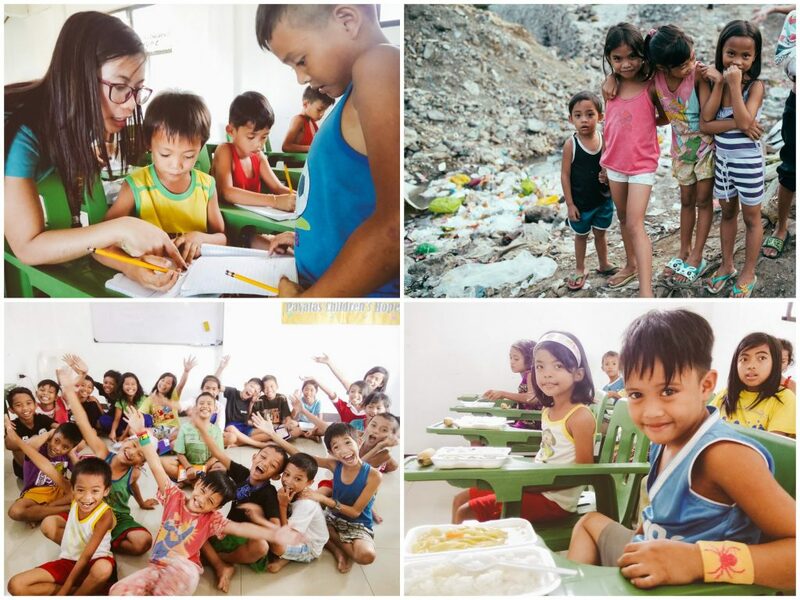 Our Hope Center in Manila also enables us to offer Bible study for the children every Saturday, and conduct “vacation bible school” style activities during the rainy season in the summer. The children of the community have come to love the activities of the program which include group games, art, singing, dancing, and learning how to make crafts for their parents. By keeping the children successfully enrolled in school we can keep them out of the extremely hazardous child labor that goes on in the Payatas Colony, and also give them much better chances of avoiding the perils of human trafficking which currently plague Manila. It is estimated that over 60,000 children are involved in child prostitution in metro Manila, with its staggering population of 23 million. We are continually grateful for your prayers and faithful support which makes all that we do for these children possible, our greatest hope being to break the cycle of poverty and rescue them from child labor.